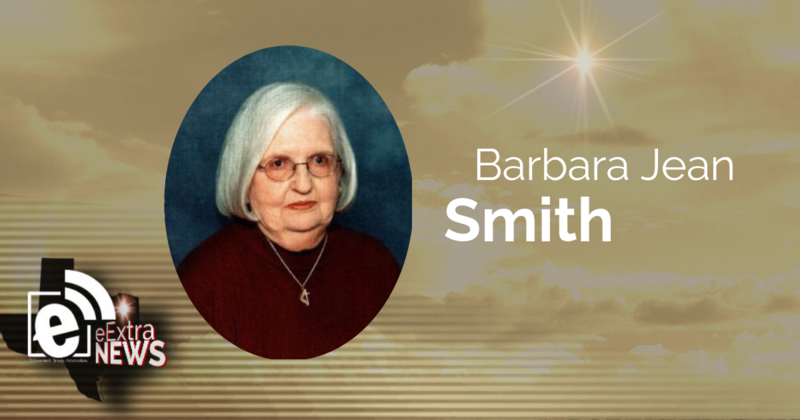 Barbara Jean Smith, 83, of Greenville passed away Monday, January 7, 2019 at Carriage House Manor in Sulphur Springs. Funeral services will be held at 2 p.m. Thursday, January 10 in the chapel of Coker-Mathews Funeral Home with Rev. Paul Gould officiating. Visitation will begin at 1 p.m. Thursday until service time at the funeral home. Interment will follow at Memoryland Memorial Park. Born May 20, 1935 in Waco, Barbara was the daughter of Glen Howard Spencer and Ethel Estelle Spencer. On January 12, 1962 in Dallas, she married Delmer Ray Smith. Barbara was a homemaker. She was a member of Wesley United Methodist Church and belonged to the United Methodist Women. Her survivors include her daughters, Marsha Wilson and husband, Earl of Sulphur Springs and Denise Harp and husband, Randy of Greenville; brother, Edwin Spencer and wife, Betty; grandchildren, Caitlin Miller, Megan Parmer, Stacy Harp, Jason Harp, and Philip Harp; and great-grandchildren, Chandler Harp, Makayla Harp, and Kylie Parmer. She was preceded in death by her husband on July 18, 1998. Pallbearers will be Jason Harp, Philip Harp, Jason Parmer, Stuart Miller, and Daniel Johnson. The family request memorials are made to the Wesley United Methodist Church.